Brad provides investment planning to individuals, corporations, and foundations. 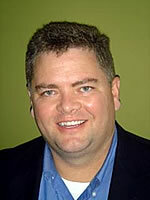 Brad received a bachelor's degree from the University of Kansas in 1991. He attained the Accredited Asset Management SpecialistSM designation from the College of Financial Planning in 1999 and Chartered Financial Consultant® (ChFC®) designation from the American College in 2006. Brad holds the Series 7, 63, and 65 securities licenses, as well as life, health, and variable licenses. Brad has been providing advice to investors professionally since 1993. Before founding Fitts Financial Strategies, LLC, he held positions as an investment officer at the state's largest bank, and as a Vice President of Investments at Gold Capital Management. An active volunteer, Brad is a Downtown Y's Men and has served as Treetopper and president. He supports numerous Wichita causes as a Wichita Wagonmaster and served as the 43rd Captain. In 2007 he was named to the 40 under 40 by the Wichita Business Journal.